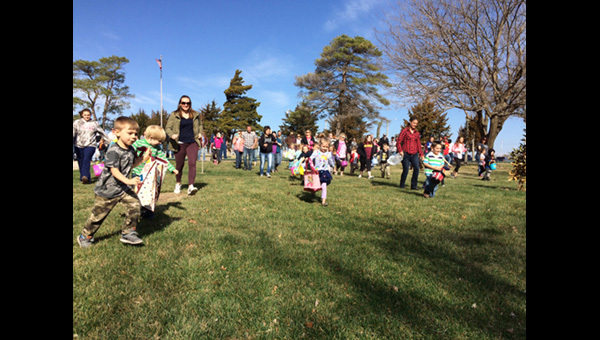 Hundreds of children and their families attended the annual Easter egg hunt Saturday at Memorial Park sponsored annually by the Hillsboro Kiwanis Club. Clint Seibel, one of the members, said the group made about 250 baskets, which is about the same as last year. “We hope the parents (and children) will remember to thank the businesses involved.” Seibel said that in all the years he has been a part of this program, he hasn’t seen them ever run out of baskets. “We came close with maybe 10 baskets left, but we never ran out,” he said.